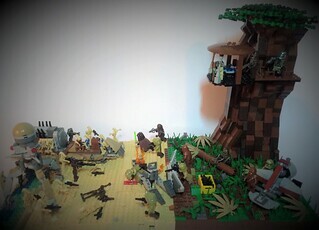 Hey everyone, this is my 32x64 moc inspired in the battle of Kashyyyk. 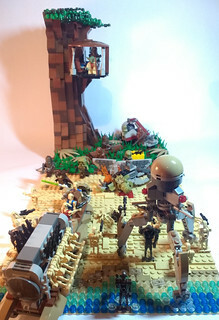 I used mods of the sets: 7929, 75036 to improve the moc. Any suggestions? Overall very nice. Some suggestions would be to soften the demarcation between the beach and the forest so it doesn't look like a straight line. Also the troop transport is a little large for the scene. Great sense of action all around. Thank you, I agree with about the demarcation between the beach and the forest, is something that I will try to change! Thanks for the feedback.